The Isuzu MU-X SUV has been on sale in India for just over a year. 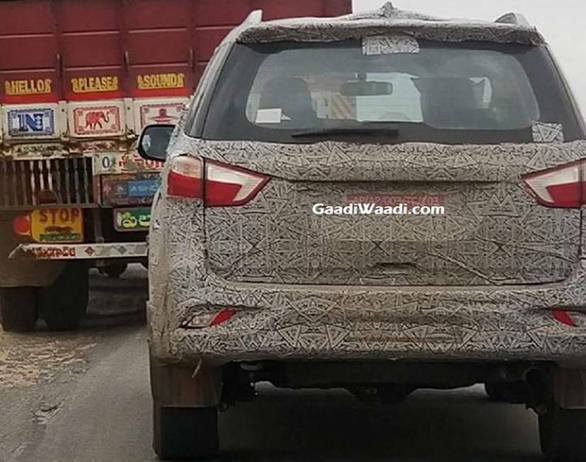 And the manufacturer has already begun testing its facelifted version in India. 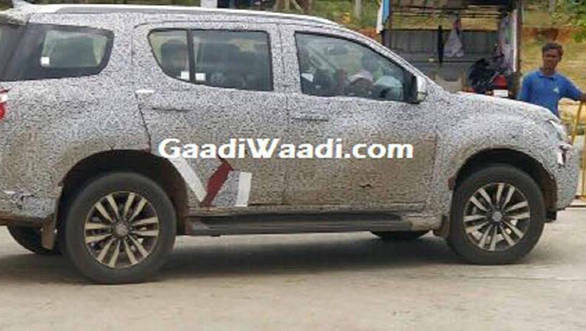 New spy shots have captured the 2019 Isuzu MU-X facelift undergoing testing the country for the first time. Although the test mule is fully camouflaged, it is easy to tell that it is the 2019 Isuzu MU-X owing to certain visible details including the distinct new headlamps. The 2019 MU-X will primarily feature cosmetic changes apart from a minor refresh to the cabin, and no mechanical changes from the current-generation SUV on sale in the country. The pre-facelift MU-X was launched in India during May 2017, replacing the MU-7 SUV. 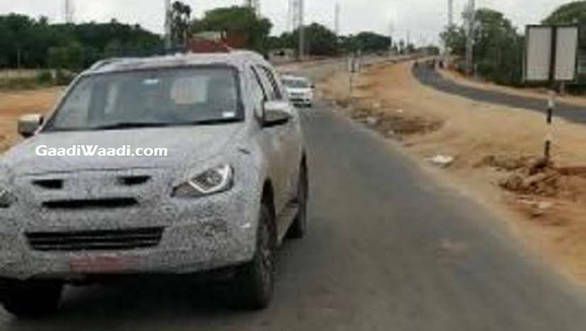 The facelifted MU-X will be launched here in early 2019, reports suggest. The Isuzu MU-X facelift features updated projector lamps with integrated LED DRLs as seen in the spy shots, as well as a revised grille and front bumper design. The latter now sports larger round fog lamps and chrome inserts. The body lines from the sides remain unchanged, but the 2019 MU-X alloy wheel will sport a new design. At the rear are revised taillamps, larger roof spoiler, and new bumper design. While there are no spy shots of the interior, it will receive minor updates as well. Mechanically, the 2019 MU-X facelift will come powered by the same 3.0-litre diesel engine as the current MU-X. This motor produces 176PS and 380Nm. It is mated to a 5-speed sequential automatic gearbox. There is also a 4x4 Terrain Command variant which features a shift-on-the-fly rotary dial. The facelifted MU-X will compete with the Toyota Fortuner, Ford Endeavour, and the upcoming Mahindra Rexton SUV which is expected to be launched by the festive season this year. Isuzu has also debuted X-Power variants of the MU-X and D-Max globally. Prices for both vehicles were also revised in India at the beginning of the year.